Keith Towns is a longtime resident of the greater San Francisco Bay Area who has been fostering an interest in mathematics and budgeting since he was a young boy. 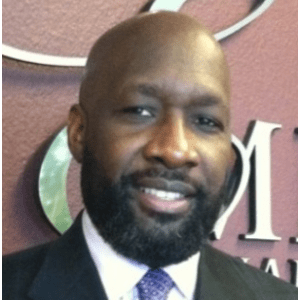 While attending Oakland’s Bishop O'Dowd High School, he began working as an accountant with the offices of a prominent regional tax service professional. Keith Towns subsequently matriculated at California State University, East Bay to earn a bachelor of science in accounting. Over the course of his three-decade career in the financial services industry, he continues to advance his knowledge and sharpen his skills through ongoing professional training. Keith Towns first went into business for himself as the founder of Priority Financial Services. In 1987, he joined forces with Doris Chatman and James Lane to start Emerge Financial Group in Suisun City, California. Later enlisting the services of wealthcare specialist Gene Hillard, Mr. Towns and his team have served a variety of high-profile clients in the medical, legal, real estate, entertainment, and professional sports industries.